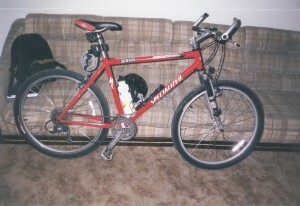 About ten years ago I sadly had my mountain bike stolen and while there have been many improvements in mountain bikes, I’m looking for the same model and size of bike that I once had (blame nostalgia). I figure I could find one that’s cheap and do some repairs and upgrades as needed. For the first couple years that I owned my old bike, I would use it as both for my primary transportation and for riding some trails. I had two odometers on the thing and the first died after 1,200 miles and the second after 1,500 miles. I got a lot of good miles out of the thing and I really loved riding it. The rapid fire gear shift was awesome and it just had a great feel riding it. 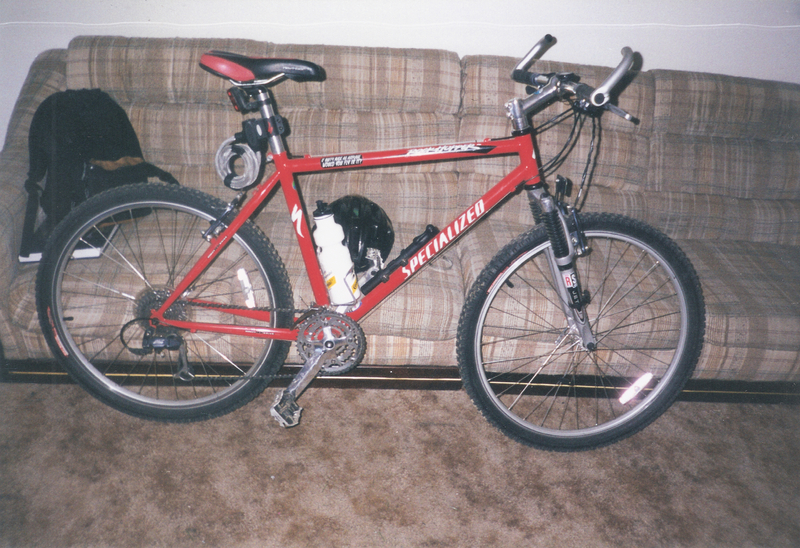 I later bought an average Walmart bike but it just wasn’t the same and I’ve never been a fan of those to begin with. According to BicycleBlueBook.com the bike should go for $112-$188. If anyone reading this sees one with a 17″ frame, please let me know. I would be interested in purchasing one. Well I found a 2000 model in Austin for $135. It’s pretty close to my old bike in specs so I’m considering it.